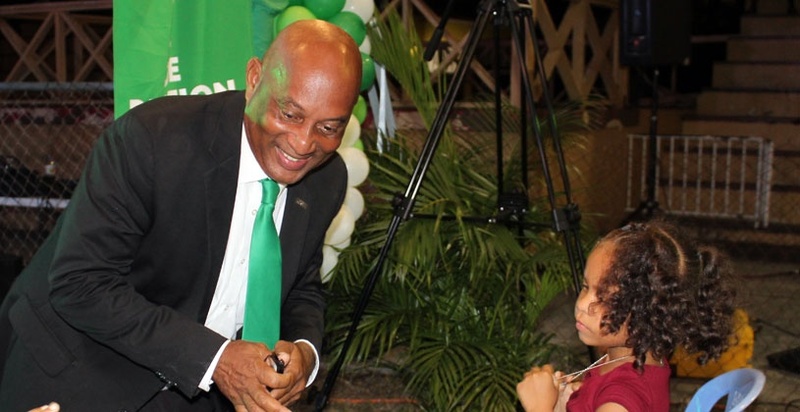 Virgin Islands Party (VIP) District Nine candidate, Mr. Vincent Wheatley says that in order to develop and transform the district, partnerships with corporate bodies need to be established, and easy land-ownership for the locals need to be made possible. “It’s a fund so that Government, along with businesses and landowners can pay into it or the development, for the specific development of this community,” he continued. The money in this fund, he explained, will be used to finance projects such as district clean up and beautification initiatives. He pointed to the current state of the district, highlighting that there are parks and other recreational facilities that need to be built, harbours to develop, affordable housing programmes to initiate, and a library to be built, among others. The fund, he told, would be managed by a District Council. The aspiring District Representative turned to the issue of home and land ownership, which he said is also a barrier to the development of the people of the sister island. Motioning to his surroundings, he told his listening audience that the lands around North Sound were once all owned by residents of Virgin Gorda, but were later sold out of the necessity to see them developed. The issue of land and home ownership are among his top priorities, he noted, and in order to address this, he plans to re-establish the Lands Committee. “We are going to reestablish those Lands Committee. We are going to tweak the rules a little bit, but we are going to make it work for our people,” he affirmed. “I can’t say, because I am not that arrogant, that I have all the answers. But, I do know that working together, we will sort it out because where there is a will, there is always a way,” Mr. Wheatley stressed. Wasn't it your father in law, who was the district rep for well close to 40 years that is primarily responsible for making it difficult for young people to obtain land in the first place? I understand you trying to get elected, but don't come to the people pretending that you didn't know about all the issues in the 9th district and you will be our savior. You stood by while all of these problems were there for all these years. Where was your voice then? This should not even be a question. Vincent was a private citizen in those 40 years you mentioned and so were you. Did you stand by while all the problems were there or did you give your voice in order to rebuttal today? Did he have control over his father-in-law or the government of the day. You comment is your opinion and in respect it, sir/madam but please, Vincent should not be held accountable. He is offering himself now because he thinks the time is now to make the much need difference. Wow you must not be from the 9th. R T O'Neal did a lot of work on getting local ownership on Anegada lands, North Sound lands and the Copper Mine lands. Try again. It makes no sense to hold a private citizen accountable for elected official responsibilities. He has done much for the community on his own merit. If you want to hold him to that standard might as well elect him now and give him the official title. How is he acting cocky exactly is he's speaking about community? Go brother, We will have another VG Premier on our hands.